The goal of the review is to summarize the current knowledge on the process of chondrocyte-to-osteoblast transdifferentiation during endochondral bone formation and its potential implications in fracture healing and disease. Lineage tracing experiments confirmed the transdifferentiation of chondrocytes into osteoblasts. More recent studies lead to the discovery of molecules involved in this process, as well as to the hypothesis that these cells may re-enter a stem cell-like phase prior to their osteoblastic differentiation. This review recapitulates the current knowledge regarding chondrocyte transdifferentiating into osteoblasts, the developmental and postnatal events where transdifferentiation appears to be relevant, and the molecules implicated in this process. 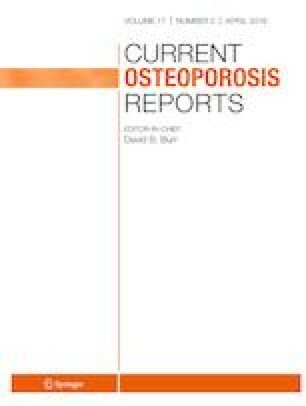 The authors acknowledge the contributions of all researchers regarding the fate of hypertrophic chondrocytes in the field of skeletogenesis and apologize for not citing all the original research regarding the previous in vitro observations on transdifferentiation. Research by the authors is supported by grants from the Deutsche Forschungsgemeinschaft (HA 4767/2-1, HA 4767/4-2, HA 4767/5-1) and from the Federal Ministry of Education and Science (01EC1408E), as part of the OVERLOAD-Prev-OP consortium. The authors further acknowledge institutional support by a grant from the Interdisciplinary Center of Clinical Research (IZKF, Har2/002/14). Christine Hartmann reports grants from the German research foundation (DFG) and grants from the German Federal Ministry of Education and Science, during the conduct of the study. Lena Wolff declares no conflict of interest. This article does not contain any studies with human subjects performed by the authors. Animal studies performed by the authors regarding chondrocyte-to-osteoblast transdifferentiation were in accordance with local, institutional, and national regulations and licenses (AZ: 84-02.05.2012.261; 84-02.04.2015.128; 84-02.05.50.15.022). Ahmed YA, Tatarczuch L, Pagel CN, Davies HM, Mirams M, Mackie EJ. Physiological death of hypertrophic chondrocytes. Osteoarthr. Cartil. 2007;15(5):575–86. https://doi.org/10.1016/j.joca.2006.10.016. •• Yang G, Zhu L, Hou N, Lan Y, Wu XM, Zhou B, et al. Osteogenic fate of hypertrophic chondrocytes. Cell Res. 2014. https://doi.org/10.1038/cr.2014.111 The results from this study using the confetti mouse in combination with an inducible Col2Cre mouse line to trace the fate of chondrocytes allowed to follow the clonal progeny of a chondrocyte showing the presence of chondrocyte-derived clones in the bone marrow cavity. •• Park J, Gebhardt M, Golovchenko S, Branguli F, Hattori T, Hartmann C, et al. Dual pathways to endochondral osteoblasts: a novel chondrocyte-derived osteoprogenitor cell identified in hypertrophic cartilage. Biol Open. 2015;4(5). https://doi.org/10.1242/bio.201411031 The results from this study suggest that transdifferentiating chondrocytes reenter the cell cycle at the chondro-osseous border and are immunopositive for the mesenchymal stem cell marker Sca1.